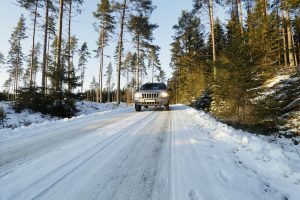 Is your car prepared for any weather condition? If you live in an area with unpredictable weather, chances are low that you’re truly ready for anything. 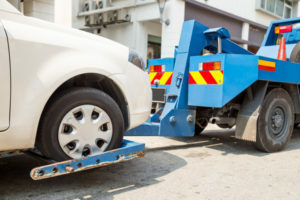 You should make sure that the car is serviced regularly and just in case the weather becomes harsh abruptly, you should have a towing and recovery service in Raleigh NC through Unlimited Recovery on call. 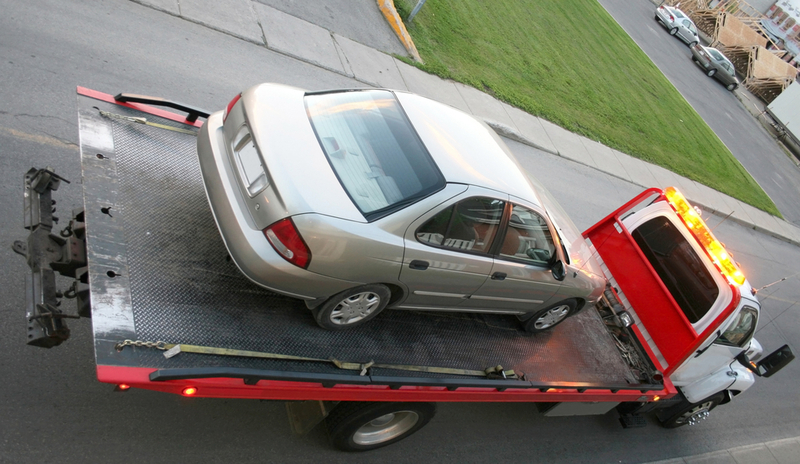 This read will help you understand why you need to have a towing service on standby. You need to take all the precautions before starting any journey. Check the pressure and tread of the tires. Make sure that the emergency kit in your car is loaded with the necessary equipment and tools such as the basic first-aid supplies, jumper cables and a high-visibility vest. You should also consider having paper towels, a phone charger, blanket, and water just in case. Summer: Since the winter seasons is over, make sure that you change your tires to accommodate the summer season to help the vehicle perform better when driven on dry and wet roads. Top up the vehicle fluids such as the windscreen washer fluid and coolant or brake fluid, and make sure that you perform regular oil checks. During the summer, your tires lose a lot of pressure, which affects your fuel economy. You should check the pressure regularly to make sure you’re not getting too low. If your battery is old, make sure it still functions properly. Your battery tends to use more energy and get more general wear over the summer months. 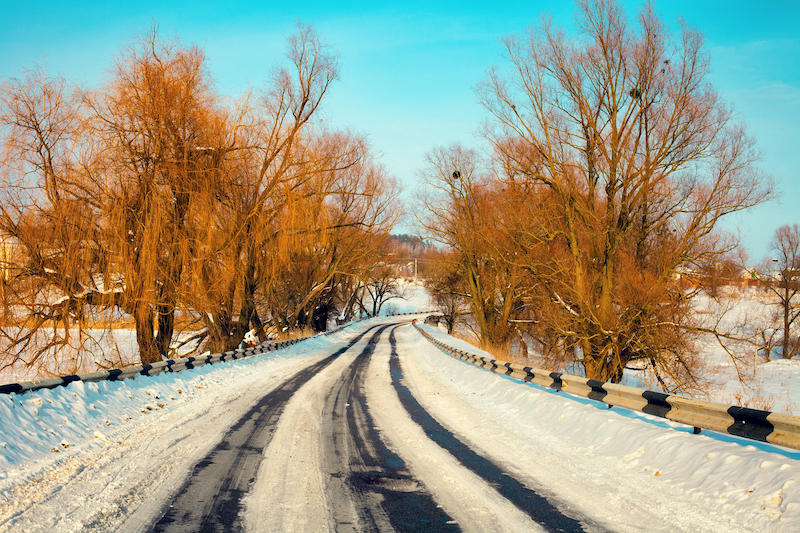 Winter: The conditions are unpredictable so make sure that you are always ready. Switch to the winter tires when required because they offer better grip and traction when dealing with snow and the effects of low temperature. Getting stuck in the snow or ice can be a nightmare! You could include studded tyres if you live in an area with extreme weather conditions in the winter season. The plastic or metal tyre studs help when maneuvering through the tough conditions and mountainous roads. Take note that the studded tyres are not fit for use during other weather seasons, so you need to stay conscious of that. Maintain the profit margins of your business: The last thing you want to stop you from getting to that job interview or meeting that client is simple car trouble, with roadside assistance you can at lease ensure that you’ll be back on the road in a reasonable amount of time, which could save you in the long run. Time efficient: It saves a lot of time that would have been spent looking for and calling the nearest towing company when you already know who you’re going to call. If you need any towing services at all, from emergency roadside towing to long-haul towing, Unlimited Recovery has got you covered. Most of us really enjoy taking trips during the holidays. It’s a time when we travel to reconnect and spend time with family and loved ones from different cities or even states. While you might choose to fly or use other means of transportation, it’s often more convenient to drive the trip. However, the cold season presents some challenges that could turn your road trip into a nightmare. So, how can you prepare for car problems this Christmas season? Servicing your car is extremely important and this includes ensuring that all elements are working properly from your GPS to your heating system, and snow drive. Some vehicles have features that ensure the car can easily move on snow. Ensure that these are working properly and have back up for the things that could easily need replacement should the weather become too harsh. Think of it as a check up for your car! Flashlight and Spare Batteries for it. A Mobile Phone Fully Charged and a Charger. Detailed Maps of your Route Should your GPS System Fail. An Empty Spare Gas Can. Work Gloves That can be Used to Change Tires or Fix the Car in Case it Breaks Down, and to Protect From Cold. Distilled Water for the Battery and Some For The Radiator (if your car uses this type of mechanism). A Gauge That can be Used to Regularly Check the Pressure in Your Wheels. Blankets, Raincoats, and Other Warm Clothing. Window Breaker and Seat Belt Cutter. This is especially important if you are renting a vehicle. Find out what the insurance package is on the car and if you need to pay extra so that everything will be covered, just incase. It’s better to pay a little extra upfront than be stuck with a massive repair bill yourself for a car that isn’t even yours! Subscribe to a Reputable Emergency Roadside Service Company that has a Presence Along the Route You’re Travelling. Some recovery companies only offer their services in particular locations. Finding one that can reach you anywhere at any time of day or night is imperative if you plan to travel this holiday season. Unlimited Recovery has a variety of emergency services that include but are not limited to jumpstarting, changing tires, and assistance in case of an accident. They are available 24 hours and their team of experienced operators will reach you fast in case of trouble and offer the assistance needed immediately. We give you the best at the most friendly cost because our interest is ensuring your safety on the road without breaking your bank. 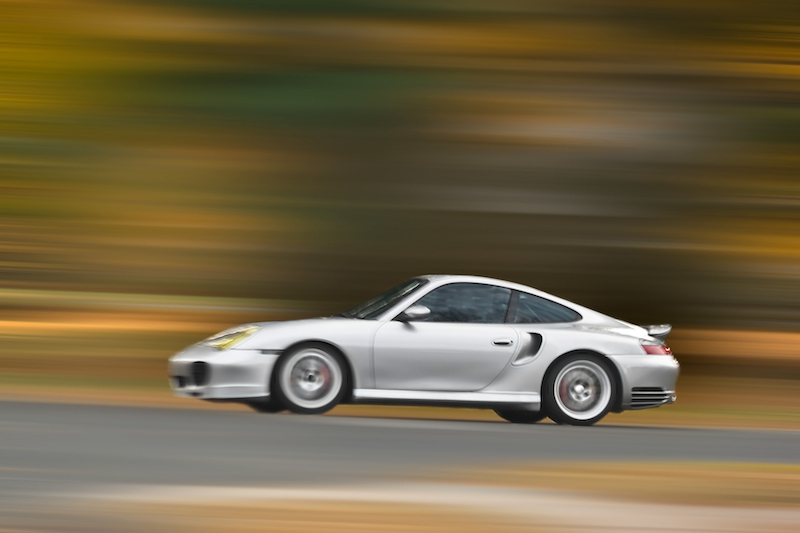 If you’re stuck in the Raleigh area, we can definitely come get you as fast as possible. 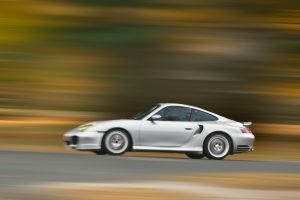 When you need a tow truck call Unlimited Recovery at 919-790-9393 now. Roadside Problems – Just Call A Pro! Getting stranded on the side of the road because of car problems is a huge pain, even if it be for something as simple as a small hole in your tire or another small issue. Having your car break down on you in the nighttime is a much scarier occurrence, and can cause a lot of stress for the person stranded. This stress can cause you to make decisions that aren’t in your own best interest as you panic about. The fear of the dark and all the unknown that comes with it may cause you to break down and try to fix your car issues on your own accord. If you know what you’re doing, this may not be the worse idea. 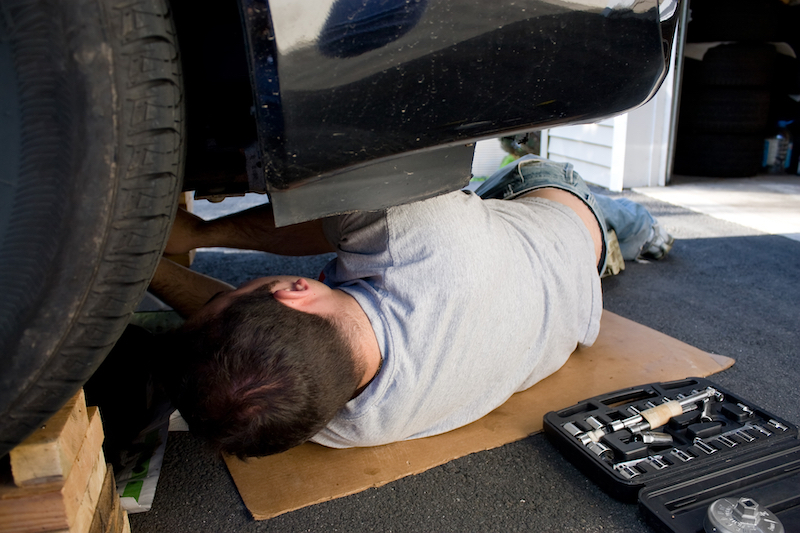 Other times, trying to fix your car by yourself can cause more issues than you initially had. This is where a quality professional towing service comes in handy. Unlimited Recovery gives you professional assistance when dealing with your car troubles, vastly lowering the chances of your car being more damaged. Here are a few reasons that you should not try to fix a car on your own unless you KNOW what the issue is and are reasonably sure that you can fix it. Sometimes, even the most simple car problems such as needing a jump start can go wrong. A mix-up in the negative and positive changes can be very dangerous, and if you’re not sure what you’re doing it’s not worth possible ruining your battery and causing electrical problems for your whole car. you are doing, you may cause more damage to your car than you initially had. In such an instance, it will cost you more money to fix the car than it would have to get a pro to come out and get you going again. Fixing a car problem on your own can cause you bodily injury. Cars are big extremely heavy machines, they can be far more dangerous than we all give them credit for. If you’re alone and under the car, you can end up being pinned there until someone (hopefully) finds you! Since you are not a mechanic, fixing your car will cost you more time when determining what the exact problem is and how to fix it. Many times what you deem as the problem may not be it and you might end up using a non-applicable solution. for. 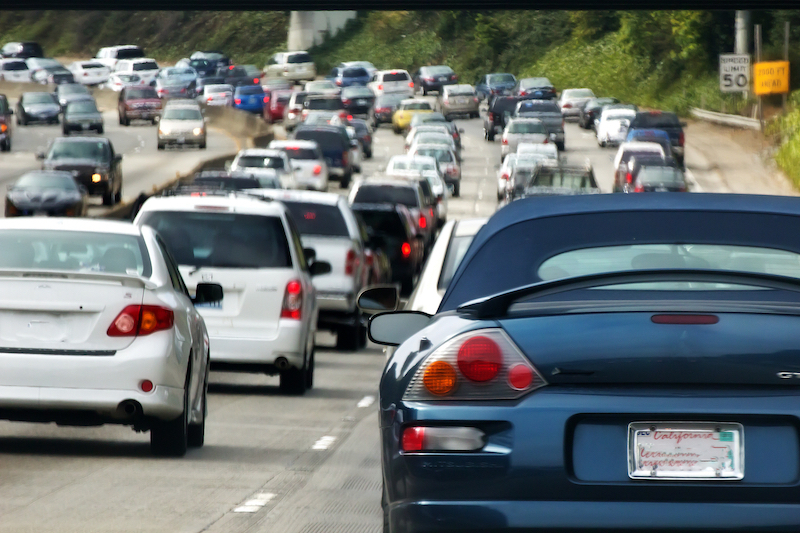 They truly know what they are doing and the chances of causing more damage to your car are very negligible. It’s generally going to be cheaper to get a pro to do the repairs rather than doing it yourself just due to the risk of incident! A professional roadside assistance visit will cost you less than what you would have paid when you decided to fix your car and instead caused more damage for it. 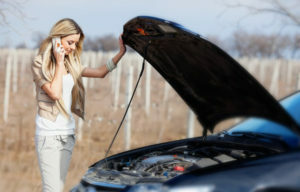 car trouble, we are always available to help you out. 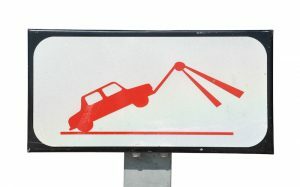 Most towing companies operate for 24 hours a day because they understand that anything can happen at any time. Furthermore, most companies have high low duty tow trucks designed to haul all types of vehicles. Professional assistance ensures you’ll be on your way in the shortest amount of time possible. We work hard to ensures that you spend the least time possible on the roadside. We want you to be safe as quickly as possible. A roadside breakdown can be embarrassing or frustrating at the same time and a driver can opt to choose the easy way out by fixing the car themselves. However, this choice can prove detrimental to both the driver and the car. Unlimited Recovery is here to solve this problems. Companies such as Unlimited Recovery have a reliable tow truck system to help with all your car breakdown problems. Call them when you need them. They will show up and give you the necessary assistance. What Should You Do In a Roadside Emergency? You’re Stuck On The Roadside, What’s Next? No one expects to be stuck in a roadside emergency situation. This can happen any time anywhere no matter how well maintained your car is – though car maintenance is a very important factor. 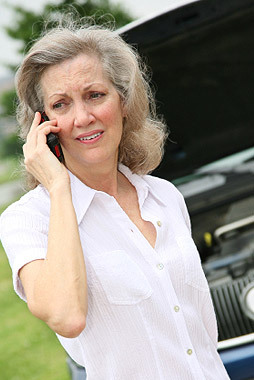 To avoid getting overwhelmed and scared by the experience, you need to know what to do before you experience that flat tire or dead battery that might leave you stranded and put you in danger and you are left with no option but to call for an emergency towing service! Every driver needs to carry a roadside emergency bag to help in case of any emergency situation that may arise. Pack essential items like air pump and jumper cables and be sure you have them at all times. Such gear can help you get your car back on track after a minor accident. You also need to carry stuff to help you stay comfortable when stuck on a cool or warm night. Put at least a blanket, a torch and a bottle of clean water in your roadside emergency bag. You need to pull over to a safe location then call for an emergency towing. In case of an accident or roadside breakdown, you need to take into consideration the safety of other drivers! If your car can start, pull over to the side of the road. If your car can’t start, call your roadside serviceto help you get to a safer location then start working on your vehicle. After pulling over to that safe location, you should then make other drivers aware of your presence. You do this by increasing your visibility by setting up your flares or putting on your hazards while you wait. In case of an accident, you first need to call the police and emergency services if you need it. Once all that is taken care of you should start setting up a tow for yourself. You always need to make sure you report your accident to the local authorities before anything else, both for your own safety and insurance/legal reasons. If you’re really unlucky you may find yourself stranded in the middle of the road, or even worse in the middle of nowhere. Call for emergency roadside service! When calling for emergency towing, ensure that you give them clear details to help them quickly locate you and your vehicle. Give every necessary details that can quickly lead them to you! In order to keep yourself and your car out of danger, be cautious when you’re offered help from a stranger. As you wait for your towing service to arrive, stay calm and wait patiently. You can ask your family or close friends to keep you company as you wait to get your vehicle towed to your desire location. Are you looking for emergency towing services? We can help you find the most efficient and reliable roadside services to help you with unlimited recovery at affordable rates you need in case of roadside breakdowns or car accidents. 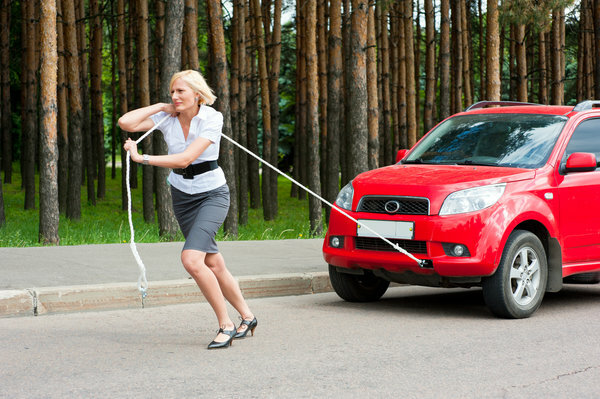 When Could A Towing Service Be Useful? 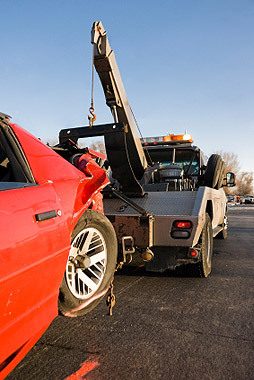 Most of us think that the only time we might ever need towing services is if we get into a car accident. This is definitely one of the reasons you may need emergency roadside services, but there are many other instances where towing services are necessary. A good number of us have spare tires in our cars and we can easily change a flat tire. However, you might find yourself in the position of having used your spare and popping that. It might come time to call a towing service to help you out! Or you might not be in a safe place to change the tire on your own, perhaps you’re heading to an important engagement and cannot afford to mess up your clothes with dirt. There are so many reasons why you might need a towing service to help you out with your flat tire. Cars break down all the time and usually at the worst time. Your car might be suffering an issue that is not known to you and lets out in the middle of the way. In such a case, it is best to contact a towing service because they can move your car to the mechanic and/or even fix the vehicle for you. Have you ever heard of fuel gauges malfunctioning? Well, they do. You might think you have enough fuel to get you to your destination only for your car to shut off midway. Or you might just have forgotten to fuel. It’s embarrassing but it happens. Luckily, a towing service can rescue you by delivering fuel to your location at any time of night or day. People lock their keys in the car all the time. It can happen to anyone. Regardless of how the car keys got locked in the car, the last thing you should do is allow yourself to panic. The most convenient and fastest way to have your car unlocked is by calling a tow truck service that is closest to you. Two company professionals have the right tools to get your car unlocked without causing any damage to it. Most of them use inflatable devices to open one door or blood pressure cuffs which are strong enough to handle pressure without splitting. Bad weather damages the road and this can hinder your car’s ability to move. If you are driving in a weathered road after heavy rain, for instance, chances of being stuck are high. The fastest and safest way to get you out of such a huddle is by contracting the services of a tow truck. If you ever find yourself in need of a towing service in the Raleigh North Carolina area, contact Unlimited Recovery. The company has been offering towing services for many years and they have built a reputation as being among the best in the business. Their services are affordable and offer their services round the clock.